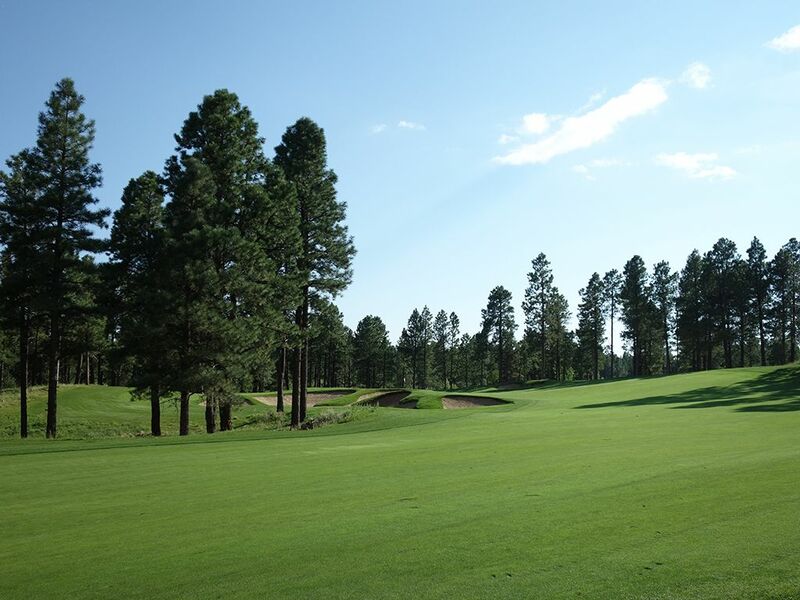 Course Website: Official Website - Visit Pine Canyon Club's official website by clicking on the link provided. 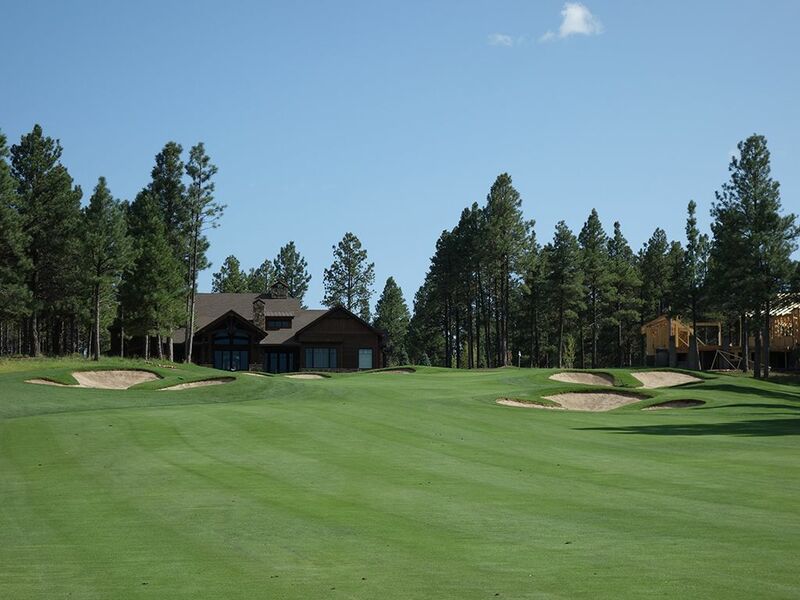 Accolades: Ranked 9th in Arizona on Golf Course Gurus' Best in State list. 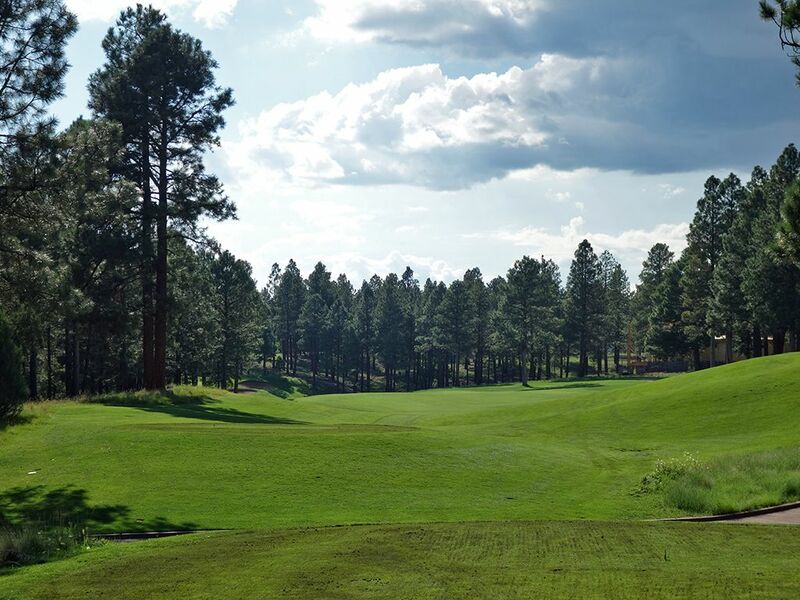 What to Expect: Conveniently located just southeast of the I-40/I-17 junction in Flagstaff, Pine Canyon is a Jay Morrish design that is a ton of fun to play. 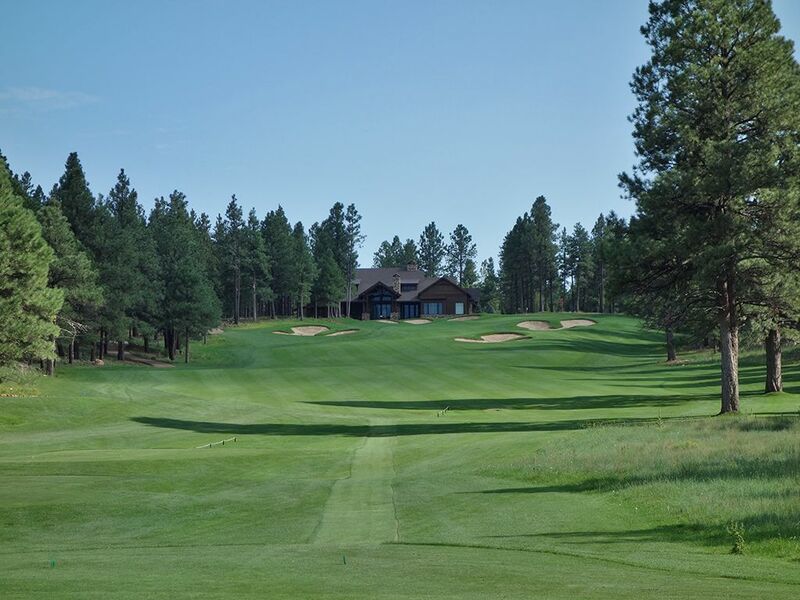 Morrish is known for utilizing elevation changes to set up exciting tee shots and heroic carries and that is just some of what you’ll find at Pine Canyon. The course is tastefully routed through a housing development that doesn’t detract much from the play and overall experience. You’ll find that the course plays shorter than the scorecard indicates due to the elevation changes combined with opportunities to cut off yardage on doglegs and risk/reward situations. 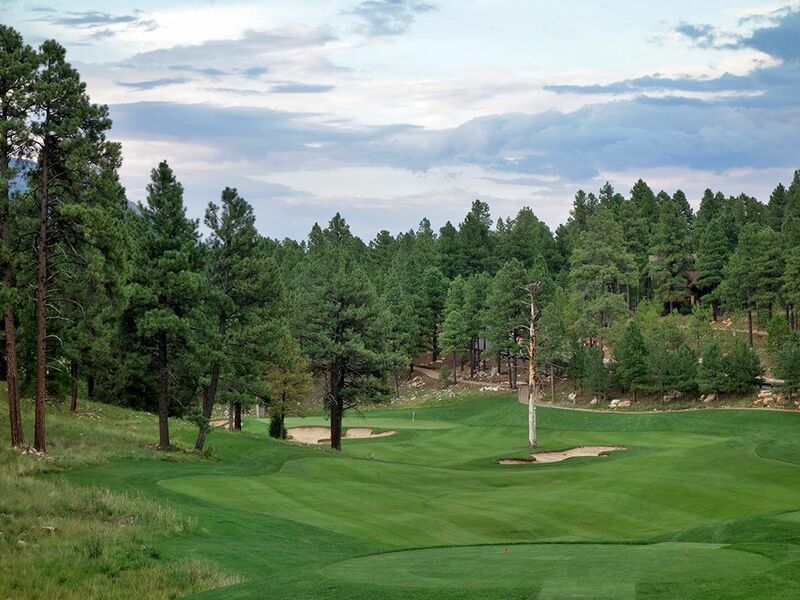 One thing you will likely hear members talk about is the great variety of hole lengths and shapes throughout the course which adds to the long term replay value of Pine Canyon. The greens have large undulations throughout which your forecaddie can help read which can be especially beneficial when certain hole locations are in play. From a conditioning perspective, players will be thrilled to find the course is kept in excellent shape with bluegrass fairways and pure bentgrass on the greens. 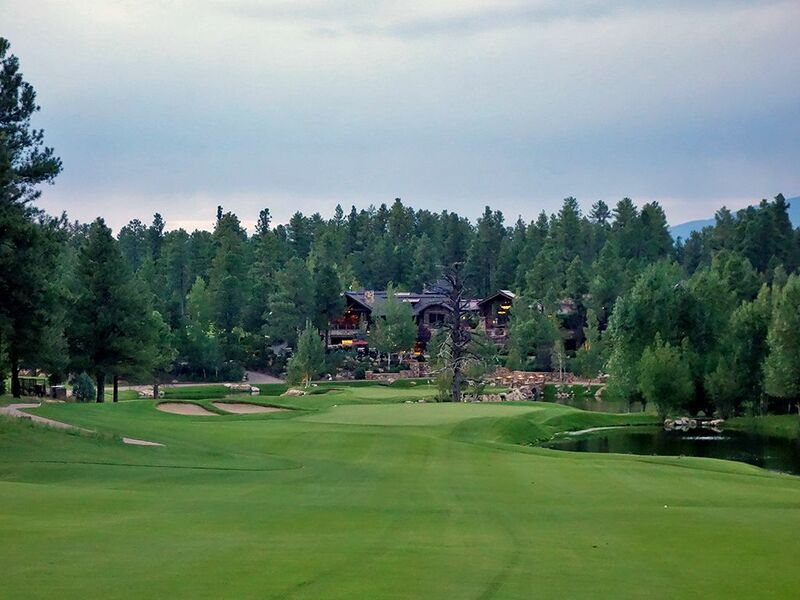 In the end, you won’t be disappointed with a visit to Pine Canyon. 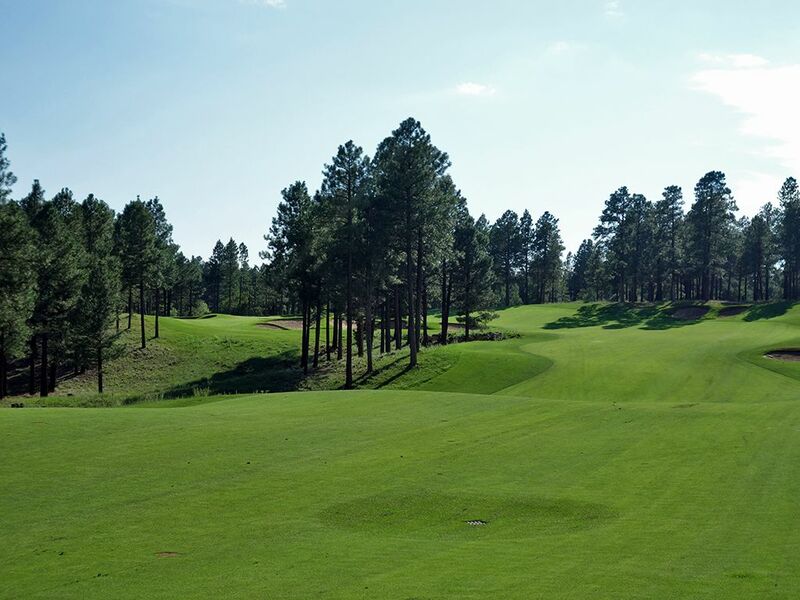 The course stands tall among the loaded state of Arizona and features a unique terrain and setting that is a breath of fresh air compared to all of the desert layouts around Phoenix and Scottsdale. Signature Hole: 11th Hole – 152 Yard Par 3 – A gorgeous hole, the short par three 11th pays to an island green but features a large enough putting surface that you should have confidence in avoiding the water. A pair of bunkers act as barriers in the front and back of the right third of the green while the rest of the green is surrounded by water as sufficient motivation to hit the putting surface with your tee shot. This is a beautiful hole and frankly one of the better chances to score well on so be aggressive and go get a deuce. Best Par 3: 3rd Hole – 238 Yards – An exciting tee shot greets you on the 3rd hole that descends 30 feet from tee to green. At 238 yards you have plenty of distance to cover with your tee ball and if the flag is tucked in the right third you may be hitting blind over a hill to reach it. A sizable bunker flanks the left side of the green but here really is no reason to flight with that side as there is a bail out area right of the green that you can't see from the tee box. The extensive trees surrounding the hole offer a feeling of isolation on this fun one-shotter that you are sure to enjoy. 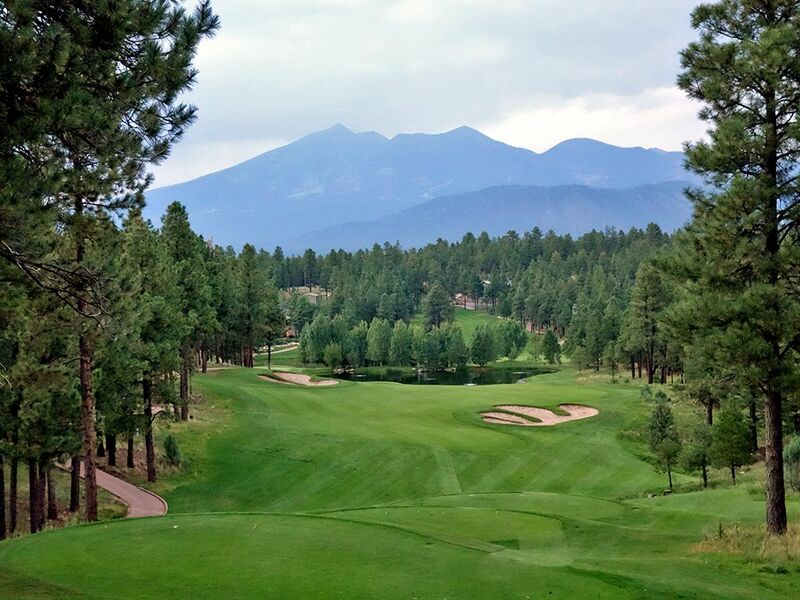 Best Par 4: 18th Hole – 487 Yards – Perhaps the most impressive view at Pine Canyon is saved for the final hole where the elevated tee delivers a commanding view of the fairway below, pond to the right and behind the green, and towering mountains in the background. A big drive can clear both fairway bunkers and catch the downslope in the fairway which will feed balls to a more manageable distance into the green. The hole descends 90 feet from the back tee to the green so you'll have an opportunity to get more distance with your shots than the yardage shows. The approach shot plays to a green that is flanked on the right by a pond and defended on the left by a reverse 'S' shaped bunker. 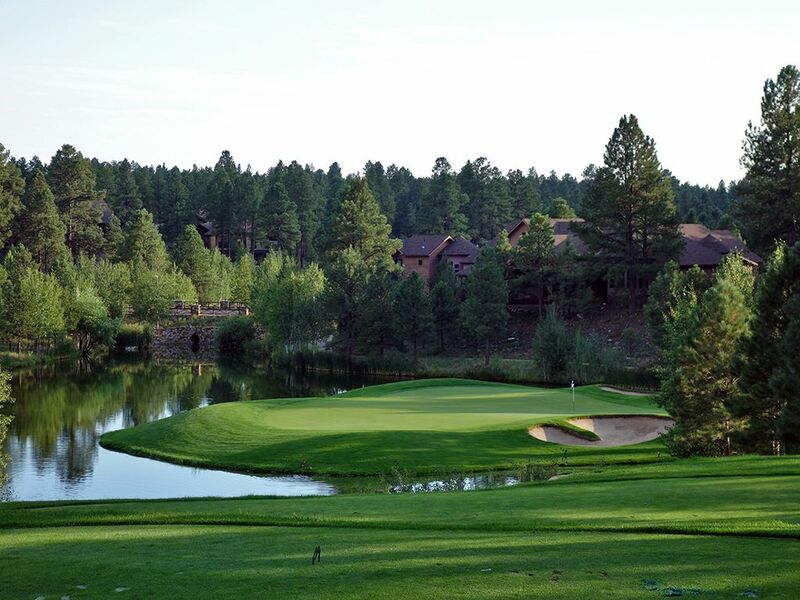 With the island green 19th hole and clubhouse complimenting the background, the final full swing at Pine Canyon is easy on the eyes. Best Par 5: 4th Hole – 520 Yards – Players face an unassuming tee shot on the 4th before things ramp up and get interesting quick. The fairway starts bending left 300 yards from the back tee and presents two ways to attack the green. Going to the right of the grove of trees that sit in the middle of the hole is the safe route but eliminates reaching the green in two unless you can play a wicked hook around the trees and chase the ball onto the putting surface. The traditional line to reach the green in two requires playing left of the trees and carrying the ball over a chasm and avoiding the large bunker fronting the putting surface. 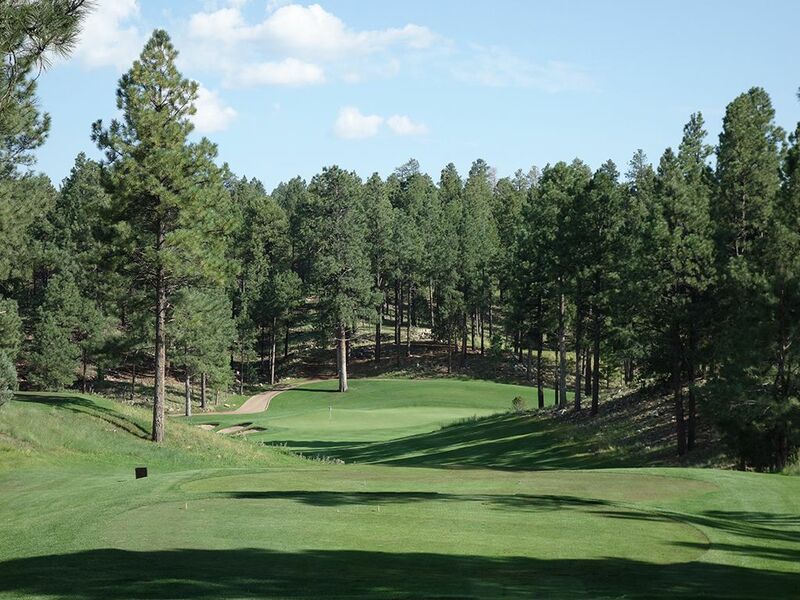 The options and opportunities to score here combined with the cool terrain made it my favorite hole at Pine Canyon and one I would look forward to playing time and time again. Birdie Time: 14th Hole – 368 Yard Par 4 – I love the challenge and temptation of a driveable par four and this one had me especially excited. A center cut bunker should be flown with your tee shot with a lone tree in the fairway 325 yards away being a good target to take aim at. If you are accurate enough to hit the trunk of the tree then I apologize, for the rest of us mortals we will miss to one side or the other with forgiveness both ways which sets up a short pitch into the receptive green. Big bombers can take a line at the right edge of the green and possibly reach the putting surface, but even short knockers should be able to set themselves up to take dead aim at the flag on their approach and pick up a birdie. 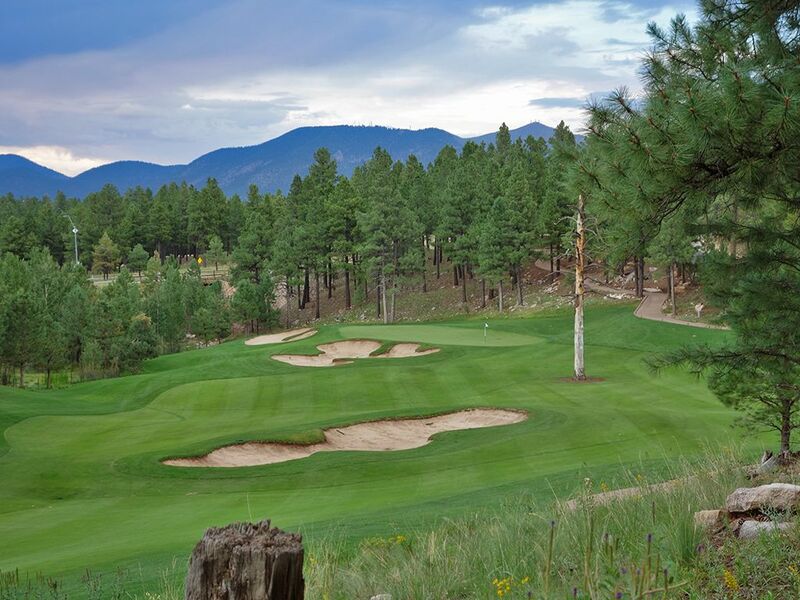 Bogey Beware: 2nd Hole – 451 Yard Par 4 – Climbing 50 feet in elevation from tee to green and featuring four large bunkers in the final 75 yards, the 2nd hole presents a tough test early in the round at Pine Canyon. The bunkerless fairway is harmless enough on the surface but the uphill approach shot plays longer than you think and the plethora of deep bunkering around the green presents a tough challenge. A high fade into the green eliminates the majority of trouble but if you over cut it right of the putting surface then your ball will tumble off the side hill into trouble. You pretty much just have to man up and take your medicine here and pat yourself on the back if you can avoid bogey.